The Records Division is responsible for maintaining internal document control over all original reports, including all crime, arrest and traffic accident reports which are received by the Department. This Division's personnel provide copy distribution, confirmation of warrants and dissemination of documents and information per court order, state statute, and internal policy. SUBMITTING A RECORDS REQUEST IS ABOUT TO GET EASIER! If you have questions, please contact 775-334-2155 x 0. The Work Applicant Registration Unit within the Records Division is responsible for the registration of convicted persons and the processing and fingerprinting of employees for the issuance of work cards as required by Reno Municipal Code and Nevada Revised Statute, i.e. taxi, limousine, and tow truck drivers, massage technicians, exotic dancers, and solicitors. This Unit is also charged with the responsibility of fingerprinting and issuing City employee identification cards. DISCLAIMER: The records database accessible to the Records Division of the Reno Police Department that would contain information between 1988 and 2001 is no longer available. Criminal History Requests must be submitted on-line by clicking on this link: CITY OF RENO PUBLIC RECORDS PORTAL. The fee is $42.00, per the fee schedule . 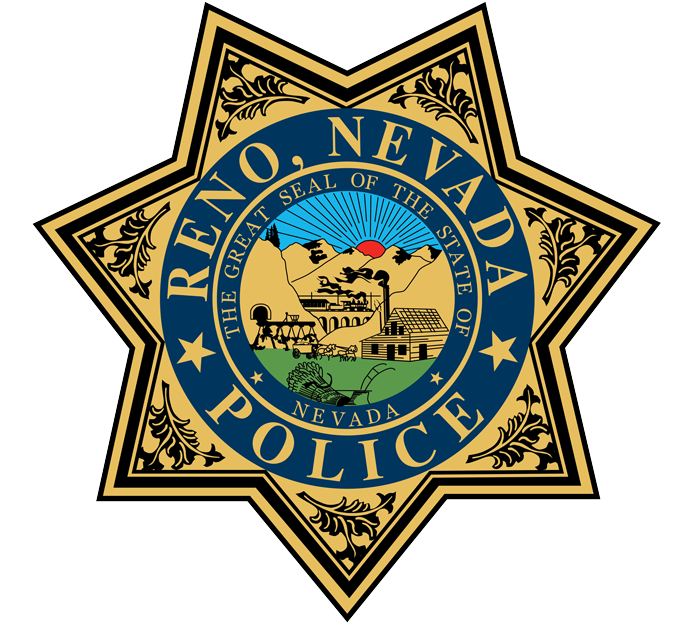 All Reno Police Department arrests with dispositions, if available, will be provided. If a disposition is unavailable, it is your responsibility to contact the Court of jurisdiction for the disposition. We do not contact the Court for you. IT IS YOUR RESPONSIBILITY TO CONTACT SPARKS POLICE DEPARTMENT, WASHOE COUNTY SHERIFF’S OFFICE AND THE NEVADA HIGHWAY PATROL TO ENSURE YOU ARE RECEIVING A COMPLETE CRIMINAL HISTORY IN WASHOE COUNTY. Requesting persons must submit their request on-line by clicking on this link: CITY OF RENO PUBLIC RECORDS PORTAL. This service is provided to residents of Washoe County who are leaving the United States for employment, Immigration purposes, etc. All report requests must be submitted on-line by clicking on this link: CITY OF RENO PUBLIC RECORDS PORTAL. The fee is $45.00, per the per the fee schedule . Money orders and cashier's checks should be made out to 'City of Reno'.